Avisford Medical Group is one of a number of West Sussex practices that is banded in the lowest risk according to the CQC. The Intelligent Monitoring tool is part of the new approach to inspecting and rating GP practices. 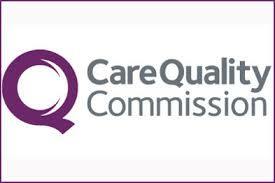 The tool and its data help the CQC inspectors to prioritise when, where and what they will focus on. You can find a link to that information, and guidance, here. This tool draws on existing national data sources, such as Quality and Outcomes Framework (QOF) and the GP Patient Survey, and includes indicators covering a range of GP practice activity and patient experience. Based on 38 indicators, each GP practice is categorised into one of six priority bands, with band 1 representing the highest priority for inspection and band 6 the lowest. As a practice we are very pleased that the banding reflects the day to day work of the practice, the dedication and hard work of our staff and the support our patients show in us.